Wisconsin became the first state to ratify the 19th amendment on June 10, 1919. The amendment granted suffrage to women in America. The ratification was the result of the efforts of many different women's rights groups that had been working since 1846. But it was surprising that Wisconsin was the first state to ratify the amendment; only seven years before, the state defeated an important suffrage referendum. 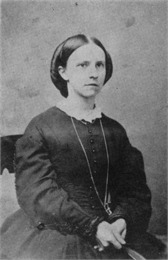 Wisconsin's first women's rights groups formed in the 1860s. They focused on temperance and suffrage. They also criticized how property rights were granted to women. At the time, courts interpreted property laws very narrowly to avoid litigation between husbands and wives. The Wisconsin Women's Suffrage Association (WWSA) formed in 1869 and began an organized suffrage campaign. But people objected to suffragism because they were against political equality, and because many suffrage activists were also advocates for temperance. One of the suffrage movement's first successes was the effort to include women in efforts to improve public schools. The legislature passed a law that allowed women to run for school boards and other offices in 1869. Other states allowed women to vote in elections related to schools and temperance in 1870. The WWSA soon began a suffrage campaign in 1884. The legislature refused to consider full suffrage, but granted women the right to vote in any election "pertaining to school matters." But suffrage leaders feared that if school board candidates appeared on a general ballot with other offices rather than a separate ballot women would not be allowed to vote at all. Their fear was confirmed in the spring elections of 1887. Most women's ballots were accepted that spring without question. But in Racine, the ballot of WWSA leader Olympia Brown was rejected. In addition to school offices, she had voted for municipal offices on the grounds that they affected local schools. Judge John Winslow ruled in Brown's favor. But the state Supreme Court reversed the decision in "Brown v. Phillips." 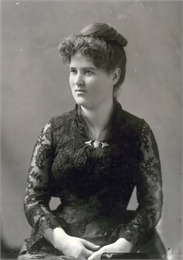 The court claimed that condoning Brown's actions would give women the right to vote for all offices, which was not what the legislature originally intended. The court also ruled that women could not use ballots that included any offices other than school offices, since there would be no way to verify that women had only voted for school offices on a secret ballot. The court ruled that school candidates would be listed on a separate ballot. But the legislature refused to allow local governments to do so; the school suffrage law of 1869 was essentially nullified. Led by Theodora Winton Youmans of Waukesha and Ada James of Richland Center, women's rights advocates began relying on women's clubs to promote suffrage. The WWSA gave way to the Wisconsin Federation of Women's Clubs (WFWC) as the leader in the campaign for women's rights. Reformers began concentrating on two short-term goals. They placed women in influential government positions and tried to make the school suffrage law work effectively. The legislature finally authorized separate school ballots in 1901. Governor Robert La Follette, whose wife was an active attorney in the women's movement, appointed women to state boards and commissions so they could assure the school suffrage law was enforced. In 1911, the WFWC successfully lobbied the legislature to authorize a statewide referendum on suffrage. When the referendum was held, Wisconsin men voted against suffrage by a 63 percent majority. One of the main reasons suffrage failed was because of its connection to temperance, which German Americans found abhorrent. The legislature authorized another referendum in 1913, but Governor Francis McGovern vetoed the bill. Two years later, the legislature rejected another referendum bill and eliminated elective boards of education. The legislature's decision destroyed many elective school board positions that women occupied. The legislature rejected another referendum bill two years later. The legislature also eliminated elective boards of education. The decision destroyed many school board positions women had gained since 1869. WWSA leaders began devoting their time to the national suffrage campaign in the 1870s. Wisconsin's congressmen finally passed a federal woman suffrage amendment to the U.S. Constitution in 1919. The Wisconsin legislature ratified the amendment giving women the right to vote in federal elections; the Wisconsin constitution was not amended until 1934. Soon after winning the right to vote, women organized the League of Women Voters to encourage voter education.